Lisa Anderson joined Miracle & Associates, Chtd. in July of 1983. After graduating from Mountain Home High School, She attended Kinman Business University in Spokane, Washington graduating with an Accounting Degree. 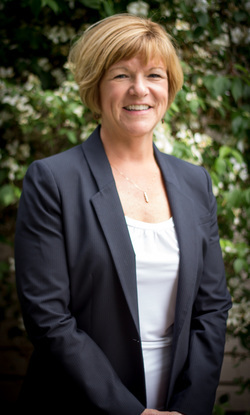 Upon graduation, Lisa worked as a controller for a small electrical company, then in accounts payable at Alberton's Corporate headquarters in Boise. Enjoying the community of Mountain Home, she returned and started with Miracle & Associates as a paraprofessional/receptionist in 1983. With prior work experience and knowledge obtained with on the job training she became an Enrolled Agent with the Internal Revenue Service in May of 1995. Lisa has extensive experience in practicing public accounting which gives her a unique perspective when providing service to her clients. Prior to 2002, she performed many local governmental audits, and now focuses on assisting those governmental agencies in preparation for the annual audits. She is a member of the Mountain Home Lions Club, holding past offices of Director and Treasurer. She served as a Commissioner on the Urban Renewal Agency of the City of Mountain Home from 2005 to 2014.